NOSE: This whiskey has a deliciously balanced nose. There’s a slight amount of malted peat, but not at all overly done. A light smoke rolls in and combines with the heather fields that are prevalent around the distillery. A slight sweetness of light honey and blonde toffee are up front and reminds me of that initial blast of walking into a candy store. A sweetness that you settle into and then become involved with. PALATE: The whiskey is awesomely viscous and thick. A gentle coating of smooth sweet spice that is bold but not overpowering at all. Then the arrival of a layer of candy coated almonds. The sweet candy, almost toffee/caramel shell being sedated by the savory mellow almond flavors. As sweet as this all sounds, it is balanced. Yes there is a very sweet forward flavor but it is handled well with the spices and soft sherry notes. FINISH: The finish is full of spice. The spices come back and show the sweetness the exit sign. 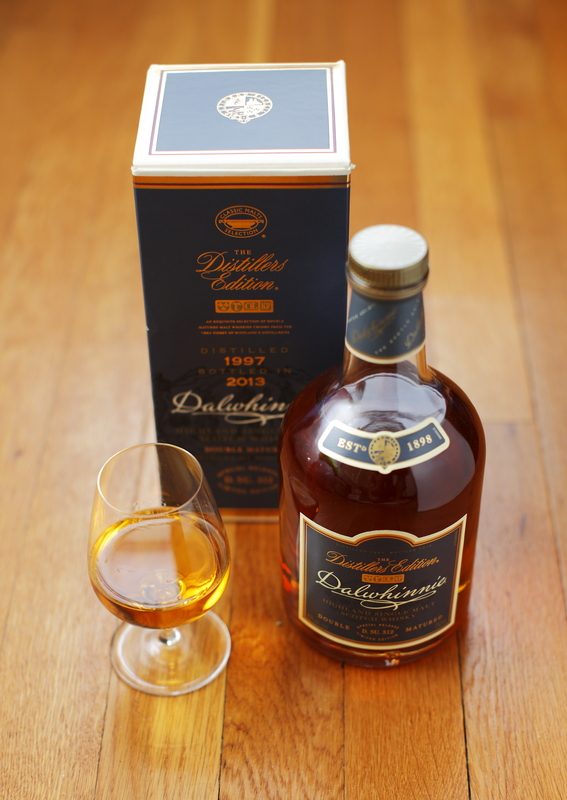 The Dalwhinnie Distillers Edition was good, it’s definitely a well balanced dram but for the cost over the 15 year old, I can’t say that I would recommend it. The flavors that you get from the 15 are similar and without the finish being so dry and of course with the cost being around $40 less. As good as this one tastes, I’d stick with the 15 yea old.